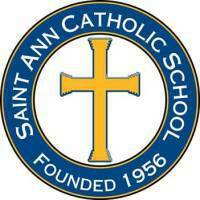 The St. Ann Crafts Club will meet on designated Tuesdays (2nd & 3rd graders) and Thursdays (4th graders & up). Crafts Club will only meet during the fall semester. Mrs. Panter and Mrs. Walton are the advisers of the club and is always in need of volunteers to help on club meeting days. No art experience necessary!